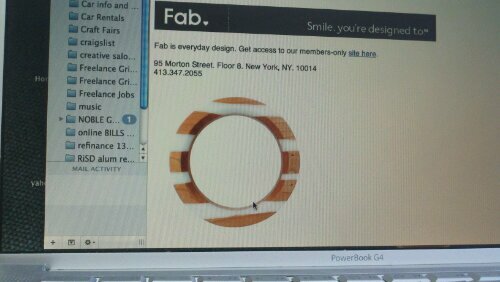 Tomorrow, we will have our work featured on fab.com. I am psyched about this, but I was even more excited when their Jewelry Buyer wanted to buy a man’s bracelet today, before the sale begins! She chose a simple design of white resin inlaid into our fsc cherry wood, and is buying it for their staff photographer. This made my day! So look out for our one-week sale which begins tomorrow on fab.com.